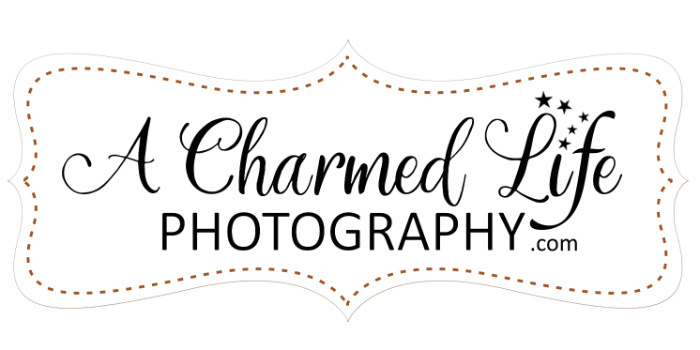 A Charmed Life Photography® documents the details and emotions that make your photo session unique. My low-key approach to wedding photography allows you to flow through the moments of your special day as they unfold genuinely. Your images will reflect every bit of the forethought that went into making your ceremony flawless. Years from now, you will look at your wedding photos and fall in love anew. I also offer fun and relaxed sessions for families and high school seniors that allow you to be you; capturing your natural essence that is so beautiful. I have many location ideas for your next session. Knowing how valuable your memories will become, I'd be delighted to preserve the charming moments of your life. "Photography was one of the biggest concerns that my wife and I had leading up to our wedding. We were getting married 500+ miles away from where we live. Some things that could go wrong with a wedding could be overlooked, or forgotten in time, but the photographs taken on your wedding day is most likely the only thing you will have to... reflect on years down the road. We were more than satisfied with the work done by these ladies. In fact we were down right AMAZED. I can't thank you enough for the wonderful memories that will last a life time. Thank you again." "While vacationing in Myrtle Beach we contacted several photographers to take our maternity pictures. After reviewing A Charmed Life Photography website and contacting the owners we scheduled an appointment on the beach. Sadly, we had to cancel and reschedule several times due to the weather. The ladies were very accommodating about adjusting their schedules to get our pictures done. The price for our entire package was soooo reasonable for the what we received. We got a DVD with the rights. A brag book to show family and friends and beautiful pictures." "Wow!!! Where do I begin? Our family has had a lot of photography sessions with a lot of different photographers and A Charmed Life Photography by far surpassed all others. From the beginning to the end they were so helpful and punctual about everything. Top quality images and first class service!! Our family plans to return to Myrtle Beach annually and plans to make it a tradition to incorporate A Charmed Life Photography into making memories that will last a lifetime and beyond. I can't thank them enough!! " "Having A Charmed Life Photography capture our engagement and wedding photos was a beyond wonderful experience. Every picture is perfect; from beginning to end, no detail missed, no guest forgotten. They were able to capture every special moment perfectly. From the first engagement photo to the last picture of the night on our wedding day, all are amazing. Peggy balances being both professional and personal in an unforgettable way. She makes you feel at ease when in front of the camera. We had a large wedding party, and she orchestrated everything with ease. I recommend A Charmed Life Photography to anyone wanting to flawlessly and timelessly capture their special day." "Peggy was wonderful to work with! We had one year anniversary photos taken on the beach at the Marriott Grande Dunes and were so pleased with how Peggy handled our shoot. We brought our dog with us and he doesn't listen very well but she took it like a champ and got the most amazing shots with him even though he couldn't sit still. My hair was blowing in the wind like crazy and I was sure I wasn't going to get many good shots but Peggy really came through with the most beautiful photos. She had a ton of ideas for different photos and was so quick to get great shots. The quality of photos were above and beyond what we could hope for and the photo book we received was sent quickly - we couldn't be happier. I just wish we had used Peggy for our wedding. You will not be disappointed with the quality of their work! We will absolutely use them again!" "I booked a photo shoot from another state since my husband and I were on our honeymoon to Myrtle Beach. It has always been on my bucket list to do a beach photo shoot. Peggy was wonderful about helping me choose a location, and planning everything despite the distance. We even had to reschedule it while on our trip and her flexibility was amazing. I loved her input on the poses, and we loved our beach photo shoot. We will definitely book another shoot if we are in the area. Great customer service, got photos back in timely manner, and they are great at replying quickly and answering any questions."